We invite you to explore this site. Visit our Menus page and view our delectable platters. Whether you are a connoisseur of good food, a seafood enthusiast or someone simply searching for a one-stop shop for all your seafood needs, let Bywood Seafood be your next stop for a highly enjoyable and truly unforgettable meal. 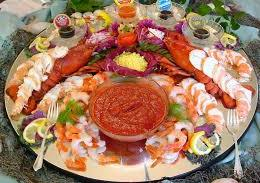 Let Bywood Seafood handle all your seafood requirements. Visit or call us now.